Salisbury, North Carolina Real Estate: The Spring Market is in Full Bloom. Now is the TIME to SELL Your Home! The Spring Market is in Full Bloom. Now is the TIME to SELL Your Home! 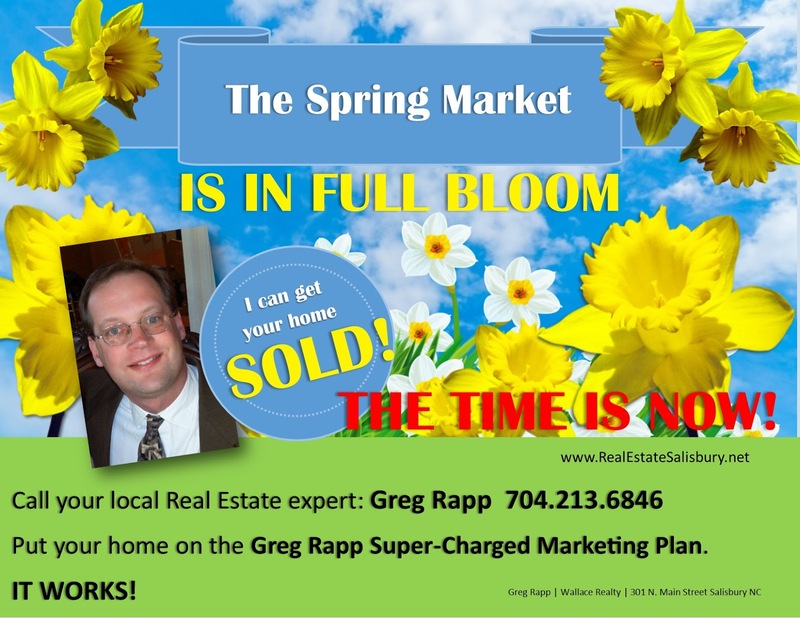 There is a reason people say Greg Rapp's real estate marketing plan in 'super-charged'. Call Greg at 704.213.6846 to find out why! If you are even thinking of moving in the next 6-months, now is the time to put your house on the market with real estate expert Greg Rapp of Wallace Realty. The Spring Market is HERE!